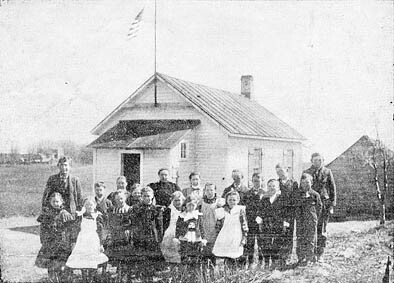 This photo appeared in the April 15, 1899 The Stillwater Gazette (weekly), part of the “Our County Public Schools Series” column (see this issue for a detailed history of the school district up to that time). GENERAL LOCATION Originally on Marine Road, later moved one-half mile further north to the northern part of section 5. DISTRICT BOUNDARIES Eastern edge marked by Big Carnelian Lake and south end of Loon Lake marks southern boundary (as assessed in 1952). In 1899, there were 19 students attending this school and teachers noted excellent attendance records. 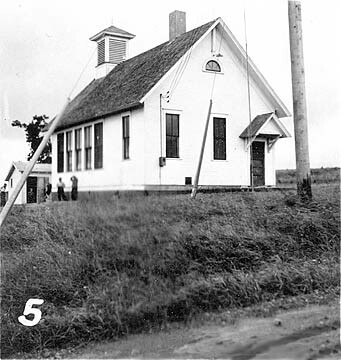 For a time, the school was divided into five grades denoted by the letters A through E.